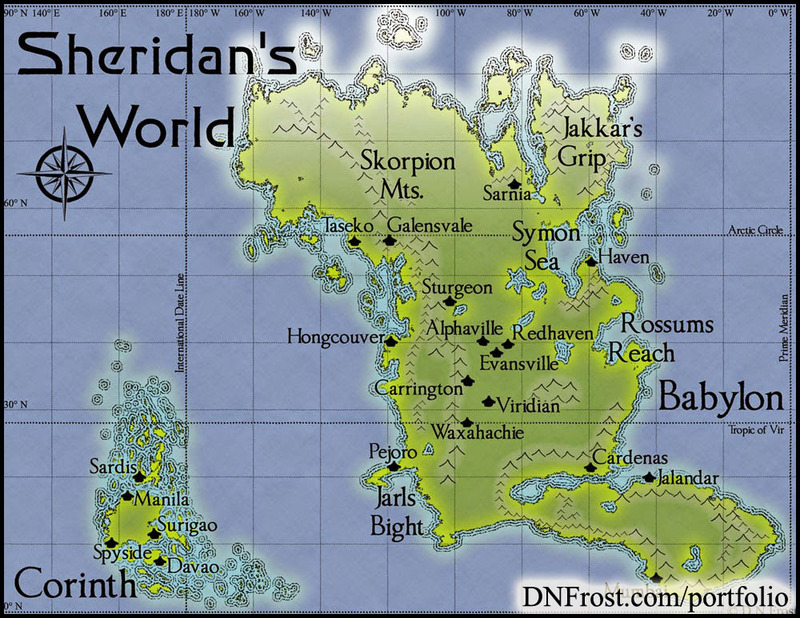 This post is Part 4 of a series to augment the Fictional Cartography by D.N.Frost available for free download. Start with Part 1 here. 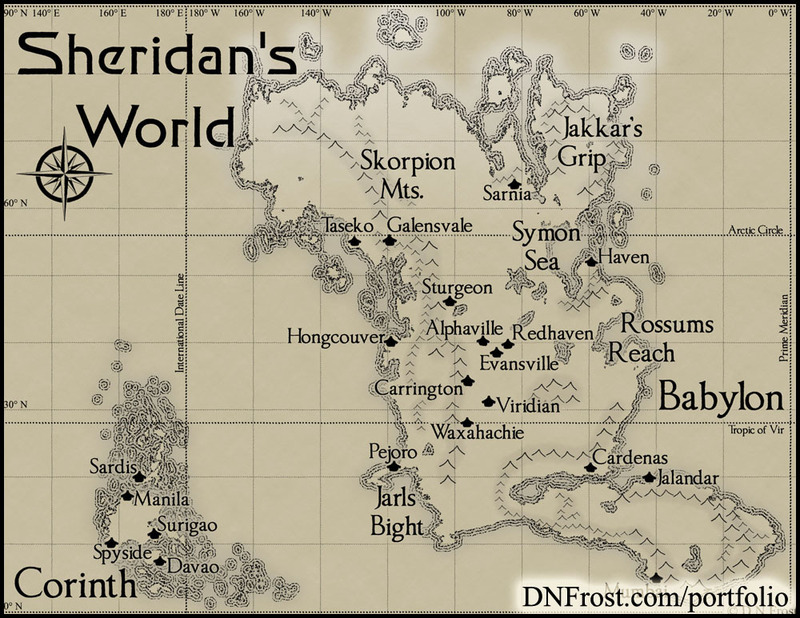 After taking the plunge in Part 1 of this series, Steve and I created this spectacular map of Babylon and Corinth, continents from his sci-fi planet of Sheridan's World. "It looks better than good, it looks excellent! It's much easier to picture and write the journeys with a map I can use. Evidently Cardenas and Jalandar suffered from a 370 km hurricane last week. Once we started on the geography, it started to develop a life of its own. I highly doubt that most projects are done in such a reverse order, where the co-ordinates are provided first and then having to reverse engineer the continent to conform. Picturing the mountains, the lakes, and their placements made it come alive, I think, for the both of us. 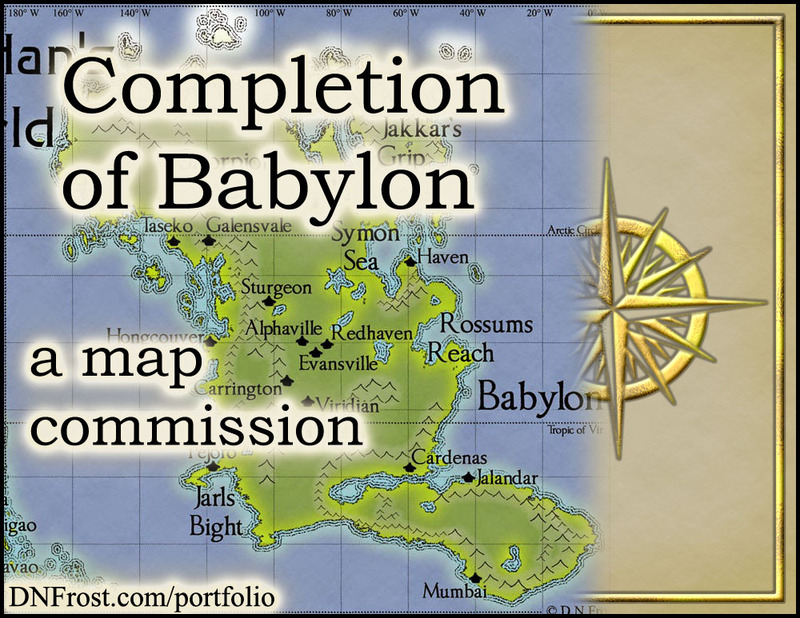 I love the look of Babylon, very impressive. Excellent job!" Though the finished map was beautiful, I wasn't thrilled with the unwavering green of the land above the Arctic Circle. So I dappled into my own free time to play around with emulating the sea ice of polar regions. After toying with a few different techniques, I found something that worked really well for sea ice. I also provided Steve with a chalk-and-charcoal version of the map. The white haze over the polar region and subtle gray shading in the shallows around the continents made this inked version really pop. The shading and highlights formed his black and white map, too. Steve can use this version for print publications like paperbacks. We squared up the final invoice and I created his package of images, high resolution JPEGs and PDFs for publication, and smaller web-sized JPEGs for sharing online. I had so much fun working on his map that I wanted to write a series of posts about the project. When I asked Steve for permission to share about our project and the work-in-progress images, he agreed enthusiastically. I learned so much on this project, both about time estimates and technique innovations. I loved expanding my horizons and developing my map-making strategies. I've added some great new techniques to my repertoire, grown in confidence and wisdom, and I had a great time providing a fellow writer with a sharable map that he can be proud of. 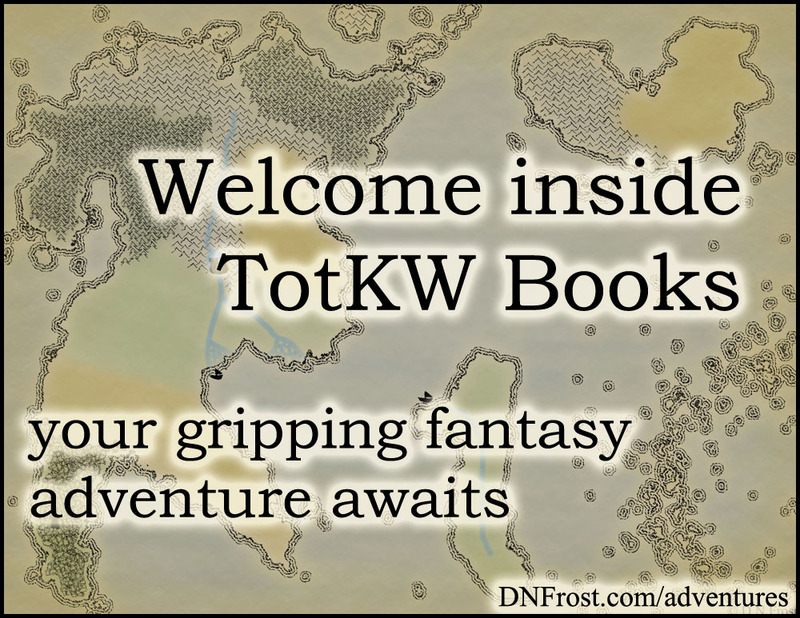 My own Maps of the Known World have brought me such joy, not to mention connected me more deeply with the world I've invented. My hope is that Steve will enjoy his beautiful map well into the future, and that it will bring him a bounty of pride, joy, and future inspiration. That's it for this post! Up Next: Map updates with new forests and more... Coming Soon.